No, that title is not click-bait. 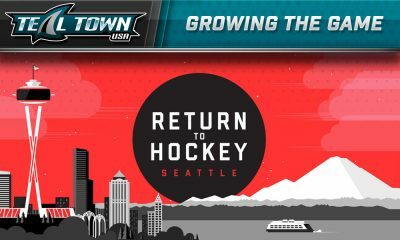 I am advocating the position that the primary issue facing the San Jose Sharks right now in April 2019 is goaltending. What I am not arguing is that the defense in front of him has played great, or even above average. I’m putting forward that the single most important person on the ice for the team is always the goaltender. Below average goaltending will rarely get you by in a playoff series, let alone a four-round playoff run. 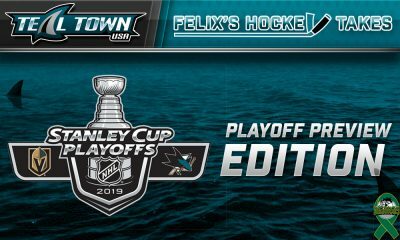 My prediction going into the series against Vegas, and the playoffs in general, was that the Sharks would only go as far as Martin Jones would allow. There is no debating that Jones’ .896% this season is abysmal. This is where I expect to hear a cry of “BUT THE DEFENSE!”. The defense has certainly not helped out Martin Jones this year, but this overlooks that poor goaltending will result in goals regardless of how well the defense plays in front. 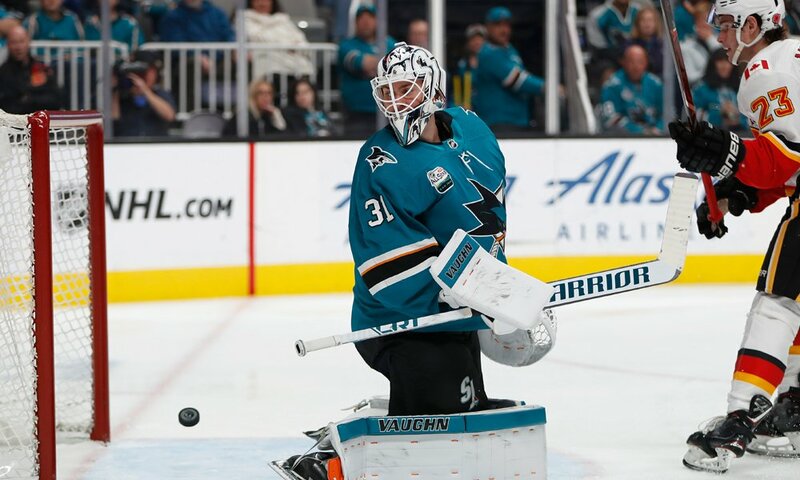 For all the hang-out-to-dry goals Martin Jones has suffered this year, there is no lack of routine saves he has missed. Shot suppression: At 5v5 the Sharks saw the lowest percentage of shot attempts in the league. 55% of attempts in a given game went towards the opposing goaltender. The top ten teams in this metric are all still playing, except for Montreal. In actual shots, the Sharks ended up seeing the fewest shots against in the league. Teams simply did not get as many chances to throw rubber towards Jones. This is an aspect of team defense that gets overlooked. 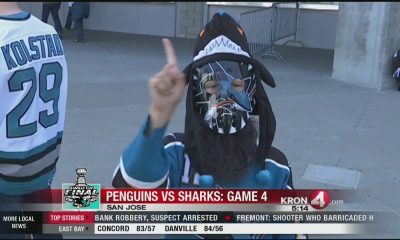 Quality of shots: After talking about how many shots the Sharks allowed, I fully expect a question of where and how those shots got to the net. Out of 56 goaltenders who played at least 1000 minutes, Martin Jones ended up #54 in expected save percentage 5v5. This adjusts multiple factors and how an average goaltender performs against a similar shot. While a model that has criticisms, and can’t account for every “yeah but this one game…” objection, it is far better than looking at save percentage with no other context. Among the 56 goalies, Martin Jones rated lowest in overall save percentage at 5v5, 52nd in low danger shots, and 46th in medium danger. This is hardly shocking if you’ve watched him much this season. Far too many routine and normally non-dangerous shots are going in. If you don’t believe in what the numbers have to say, I dare you to say that the eyeball test says differently about his play. While the team in front of him isn’t a defensive machine, they have given him ample opportunity to win games, and frequently won despite him. Every goaltender in the league is asked to make difficult and near impossible saves, especially in the playoffs. The team that never hangs their goaltender out to dry doesn’t exist. Go on youtube and look up highlights of Braden Holtby, Matt Murray and even Antti bleeping Niemi in 2010. I’m no goaltending expert. I can’t eyeball positioning and fundamentals. I can listen to what experts have to say, and I’ve heard from several people over the years question Jones’ positioning at times, and that this year has been particularly bad. Unconventional goaltenders have succeeded in this league so that is far from the last word on the subject. Martin Biron put out a tweet the other night that set in words what I was thinking while sitting at a bar in Toronto at 11:30pm the night before a 6am flight. Worst 3am wake up call ever. Martin Jones losing his angle on the 2nd and 3rd VGK goals. – First picture he never had the right angle on Miller’s entry. – Second picture the blue line should be between his leg as the dot angle is the corner of the crease. Bad fundamentals will burn you on easy and difficult saves alike. You get a poor low danger save percentage by taking bad angles and not being positionally sound. Part of this is on Jones and part is on the coaching staff. 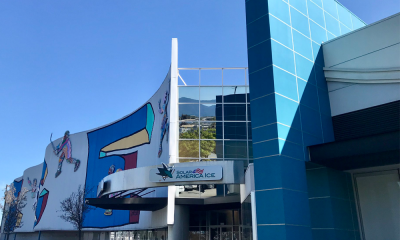 Martin Jones isn’t going somewhere else anytime soon after signing a six-year contract so this has to be made to work. This is the most talented Sharks team in franchise history and expecting them to outscore bad goaltending night after night is unrealistic. This is not to say Jones cannot have good nights, but his lack of consistency is too great for this team to overcome on offense or defense alone. I fully expect a shutout in game three, so my mentions can get filled with “WUT NOW HATER!!!!1!”. I’ll be right here answering your tweets and bumping them when it swings back the other direction. Annnnnd he gave up the first shot of the game..
Burns and Karlson are both over paid and overrated defensemen. How many turnovers do they give up each game? Yeah Jones needs to be making extravagant saves, but it’s the team as a whole. Not just Jones. Couture even had a number of nasty turnovers. We could not get over the blue line cleanly to set up anything. With a team like the Sharks in front of Jones, he’s always going to get worked. The team with the most shots have won their games. Blame Jones all you want, but Sharks haven’t done anything since they clinched a playoff spot. No heart. Can’t disagree with a thing you stated. No, he’s not always going to get worked. His numbers are worse than goaltenders from Ottawa and other defensive bottom feeders. Not on par, clearly worse. He’s been specifically shown to have bad positioning and that’ll get called out more as time goes on. A good defense in front of him he’d still let in way too many stinkers.